Immaculee Ilibagiza grew up in a country she loved, surrounded by a family she cherished. But in 1994 her idyllic world was ripped apart as Rwanda descended into a bloody genocide. 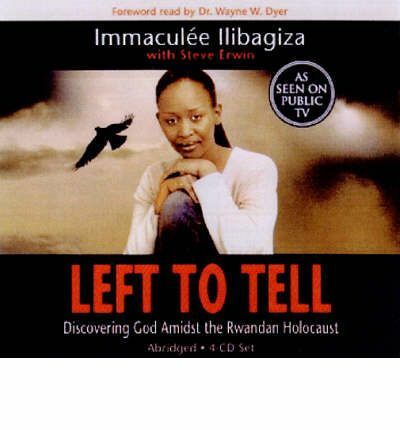 Immaculee's family was brutally murdered during a killing spree that lasted three months and claimed the lives of nearly a million Rwandans. Incredibly, Immaculee survived the slaughter. For 91 days, she and seven other women huddled silently together in the cramped bathroom of a local pastor, while hundreds of machete-wielding killers hunted for them. The triumphant story of this remarkable young woman's journey through the darkness of genocide will inspire anyone whose life has been touched by fear, suffering, and loss.